This is the first guest post of the "Share Your Story" series (learn more about it here!). 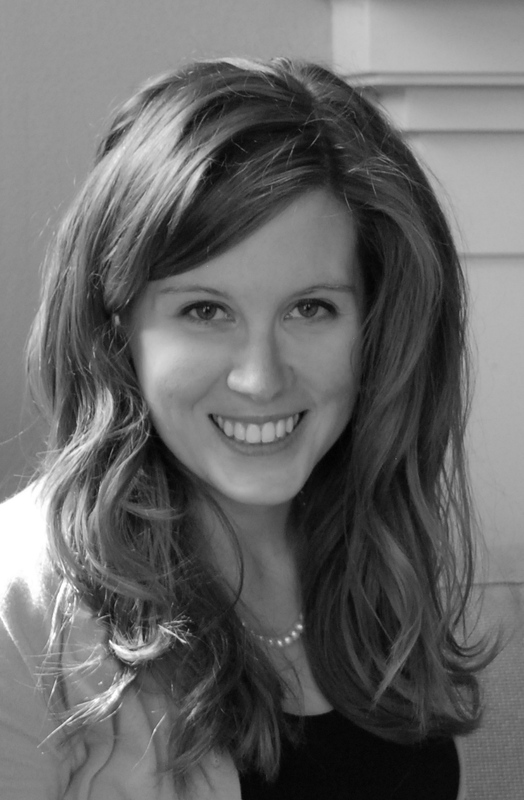 I'm excited to introduce you all to Sarah of Inspiration-Driven Life, a blogger friend and fellow writer. I’d like to say my career transition started on the last day of my first big girl job. I’d like to say I launched with the sunrise the next day and it’s been fruitful ever since. And I wish I could detail every step I took. If that were the story, it would involve much less heartbreak and very little gut-wrenching, that’s for sure. Just like the story of a vacation begins when we pull our suitcase out of the closet and not when the plane takes off, the story of any life transition really starts long before the transition itself. And so I suppose my story starts in the spring of 2010, when I said yes to a once-in-a-lifetime man who was down on one knee with a diamond. There was never a question about a yes or no, because when you find a wonderful man, you grab him and keep him close. But I did wonder what this meant for my career. When I got engaged, I was knee-deep in a stressful-yet-fantastic role in Development and Communications for a non-profit, inner city high school. Because I had the chance to dip my toes in multiple ponds, it was a wonderful first gig. Mr. S. (my now-husband, then-fiancé) started grad school in August 2010, states away from this wonderful first gig of mine. I knew relocation was on the horizon. And so that season, I was planning our wedding remotely and connecting in community however I could, soaking it up before the inevitable move. I also scoured the job boards, networking as well as I could from a distance. A few leads, but no good fits. That fall, I also tentatively tip-toed into the world of consulting. A Kansas City friend and colleague had invited me to help her behind-the-scenes in her college admissions counseling business. I channeled my inner grammar ninja as I edited dozens of admissions essays and offered critiques and suggestions . . . and the more I did, the more I loved it. Today I look back and the answer to my feverish what-should-I-do-with-my-life is obvious. Consulting and writing and blending my multiple passions sounds like a natural fit. But it would take much more heartbreak before I realized it. Days before our wedding, friends helped me pack up my life and ship the storage pod to Lafayette, Indiana. The morning of January 1, 2011, I woke up crazy early and edited an essay before I got ready for my wedding. Looking back, it was the best decision I could have made. It was a professional victory on a day when much seemed out of control. Post-honeymoon, the reality of joblessness hit me hard. I stared at a pile of boxes in the apartment I now shared with my husband of less than a week, and I found myself facing so much new, and all at once. A new town, and a job search without networking contacts to call on and without a community to lean on. Sitting at home was scary and lonely and above all, simply boring. In between bouts of online job searching and unpacking and anxiety, I tried my hand at daytime TV watching. My grandma had been an All My Children devotee for decades, after all. And yet I couldn’t get into a single daytime soap opera. Clearly television preferences aren’t hereditary. Passive job searching was doing me no good. And the jobs I applied for were less than enticing. When I fell for one of those Craigslist “remote assistant” ads, that was the final straw. I knew where my passions and abilities intersected: the nonprofit field. With a little help from the United Way’s database, I fired off 60-ish emails. Each little email was a big leap of faith. I introduced myself and offered to do everything I’d done at my old job for free, as a volunteer. Why? Because one more day of sitting in this house – and staring at daytime soaps -- may have broken my soul. From those 60 emails came one precious response that very afternoon. It was from the Volunteer Coordinator at the Red Cross, inviting me to their office. Armed with a handful of business cards printed on my circa-2005 printer on Hobby Lobby cardstock, I gathered my gumption. I walked in to meet not just the Volunteer Coordinator, but the Development Director and Executive Director as well. I left, by grace alone, with a contract job. A consultant role, just like the role I played as an essay editor. Familiar, right? I treasured the Red Cross job, and yet I knew it was just for a season. When the yearly fundraising campaign was over, my time as a consultant would be too. So although I was gainfully employed, and no longer slave to the daytime soaps, the job search never really ended. January became February and February became March. Those who I met while networking typically said they had no position for me, or weren’t hiring at the time. But smaller projects? Sure. Writing opportunities? Absolutely. I’ll never forget meeting the business manager of a growing IT company. She was my first local client and, through her, I met dozens of other local professionals. Through the power of networking and a few crossed fingers, I was able to find more writing opportunities. Every project was a privilege, a chance to fall in love with communications all over again. As the Red Cross position wrapped up, I applied for an open job in membership and fundraising at a local art museum. The job description fit me perfectly, and yet to submit my application was to take a leap of faith. This role was only 20 hours a week. So to apply for this job meant I’d take my freelance writing and consulting to a new level. Working on both fronts could make ends meet, and yet it was scary to take this step. Just hours after my interview at the Museum, I accepted the position. So I suppose, in a way, that day was also the day I launched Inspiration-Driven Communication, my freelance writing and consulting business serving nonprofits, small businesses and entrepreneurs. Today, I’ve been balancing my own business and my museum position for well over a year. And yes, it’s a balancing act, but one I will never regret. One thing is for certain: there as been nothing business-as-usual about it. I’ve had the privilege of playing a role in building better businesses, creating stronger communities, painting word stories, strengthening teams and using the best words for the best messages. As any entrepreneur will tell you, finding clients and building contacts and spreading the word is no easy feat. Any entrepreneur will also tell you it’s a journey of many teary nights. Yet I don’t regret a minute of it. I’ve learned the value of hard work, the necessity of patience, the joy of community, the importance of faith and the significance of grace in the middle of it all. Each day, friends, has been a leap of faith. And for me, every leap has been a leap worth taking. Sarah is no fan of soap operas, but loves community and creativity. She’s a young professional in the communications, writing and nonprofit fields and can’t get enough of it. Sarah appreciates a good cardigan, cherishes a great cup of coffee and gets a kick out of painting her nails red. 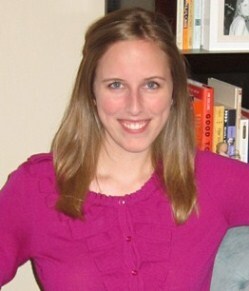 Connect with her on her blog, Inspiration-Driven Life, at http://sarahkocischeilz.wordpress.com and on Twitter @SarahKoci. What a great and inspiring story! Thank you! Mary and Katie -- thank you so much to you both! The journey is never easy, but always rewarding, yes? I've caught bits and pieces of your story before, Sarah, but it was great to read it all put together like this. Sounds like you have taken several leaps of courage over the past few years. I'm glad you have come to a point when you feel like it all is worth it. It gave me rest to read your story. I feel like I am working the same beat, and reading how you thrived gives me hope. Many teary nights does bring joy. All the best! Great story and very inspired! What resonates with me in your path across your career is your self-reliance. It takes inner confidence to make those small leaps of faith and a good understanding of yourself and your talents to know what works and doesn't work to have a balanced career. Love that you're sharing your story, Sarah. It has certainly inspired me as I took leaps of faith on my own career path! Thank you for being so brave!